Editor’s Note: This is the final column of a series on a delegation from North Central Washington to Kyrgyzstan and Uzbekistan for a cultural and economic exchange. Towards the end of our 10 day visit to Kyrgyzstan and Uzbekistan, I asked Wenatchee High School junior Wil Jorgensen about his impressions of the many Muslims we interacted with. He responded that people in those countries are just like people in America and that they have similar hopes and dreams. Jorgensen said he senses some animosity towards Muslims at the high school and hopes he can use his experience and videography skills to give people a different perspective. The timing of this sister-region visit by our local delegation coincided with the superheated rhetoric of our presidential race, where animosity towards people from other countries or with different beliefs, in particular Mexicans and Muslims, has been at the heart of discussions. Jorgensen went out of his way to get to know the people, as did the rest of our group, which included Sarah Lindell, Katie Tackman, Randy Smith, Tom Warren and Scott Brown. This gave us a chance to rub elbows with ordinary Muslims who make up the vast majority of people of that faith, just like the vast majority of moderate Christians outnumber the violent few in among us. The graciousness and hospitality that exists in this once-Nomadic culture is inspiring. Kyrgyzstan and Uzbekistan showed us two radically different paths to governance. In Kyrgyzstan, we found a country with a track record of allowing people freedom to criticize the government. But it is also a society with a deep corruption problem, no doubt a holdover from Soviet days, which ended in 1991. Shake downs by police and other officials hinders the economic development of this mountainous country. Though more than 90 percent of the people identify as Muslim, it’s remains a secular state rather than one dominated by religion, and that is something progressive Kyrgyz leaders we spoke with are anxious to sustain. However, more devout Muslim countries from the Middle East like Saudi Arabia are making concerted efforts to encourage the Kyrgyz people to become more religious. Whether that puts the country at risk of shifting toward a religious state remains to be seen. 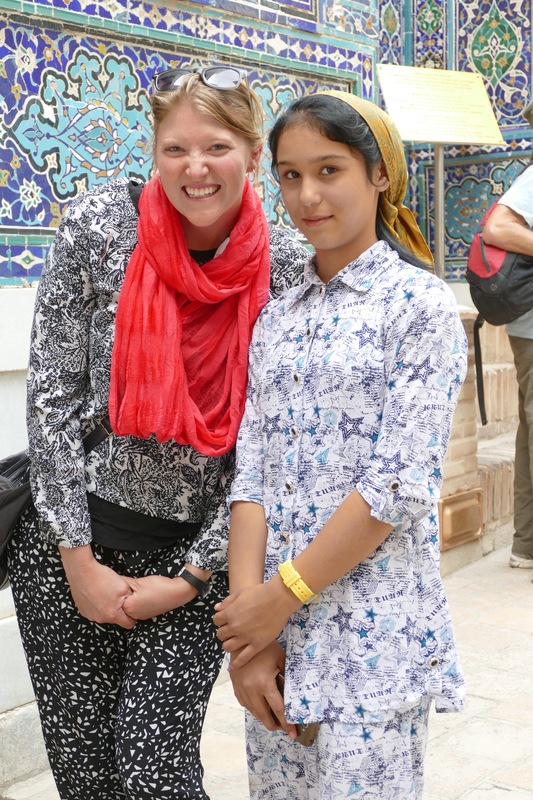 Our brief experience in Uzbekistan offered a sharp contrast with Kyrgyzstan. Uzbekistan is a police state that has been run with an iron fist by its leader since independence, Islam Karimov, a holdover from the Soviet days. He passed away shortly before our arrival and there is uncertainty about the future. 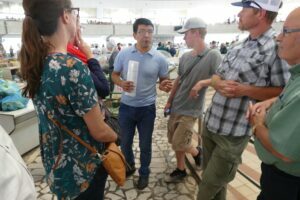 During our stay in Uzbekistan, we connected with a young man with Wenatchee connections who is spreading the Christian faith but is doing so in secrecy because such work is not allowed, demonstrating the difference between the stated policy of religious tolerance and the reality on the ground. It is notable that Afghanistan is Uzbekistan’s immediate neighbor to the south. Depending on one’s perspective, this proximity to the Taliban and other Islamists is a valid reason for a police state or perhaps just an excuse to rule with an iron fist. Human rights organizations have expressed profound concerns about torture and other official misconduct. The future for these countries is uncertain. It’s hard to imagine Uzbekistan giving up the authoritarian control and creating more freedoms willingly. On the other hand, will the fledgling democracy in Kyrgyzstan be able to combat corruption and maintain an open society or will it get derailed at some point by an authoritarian leader and follow Uzbekistan into the ugliness of repression and abandon liberal democratic ideals. Our exploration of the relationship between Muslims and Christians is timely because of the effort by the Leavenworth Resettles group, a coalition of individuals in the community who would like to encourage a refugee family or two fleeing persecution in Syria to move to the Upper Valley. That has caused some consternation by some who object to hosting refugees. Fear is at an epidemic level in our society these days, helped along by a media too often obsessed with conflict, I’m sorry to say. The more we can meet the fears and uncertainties with a willingness to seek understanding and test our own assumptions, the more effectively we will move forward despite strong differences of opinion. 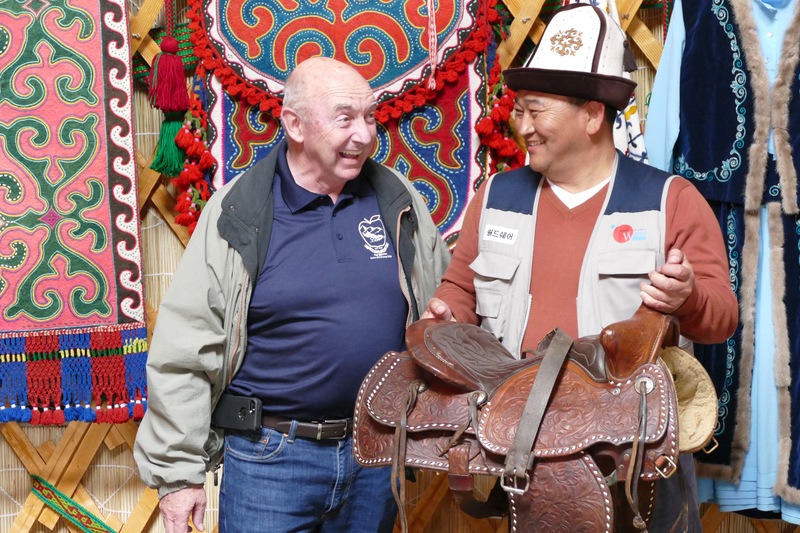 These are a few key lessons of Kyrgyzstan and Uzbekistan for our team. We could all benefit from being willing to explore other perspectives.